Hard to believe it, but this Sunday marks #SundaySuppers 1st birthday! What a year it has been for Isabel and company. 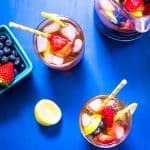 Starting with just 7 bloggers as a progressive online dinner, #SundaySupper has grown to has many as 50 contributing bloggers for each weeks theme. The past year has just flown by and I honestly needed to take a peek back to see when I first joined this fabulous group. I remembered lurking around for a bit and on June 3rd, I finally made my appearance with our Family Heritage theme and my Spinach and Potato Knishes. Truth be told, considering the mission statement of #SundaySupper – “bringing Sunday supper back to the family table” – it was appropriate that I joined in with a family theme. 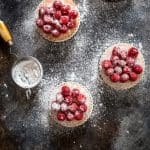 #SundaySupper has become an important part to the little red kitchen, it inspires me each week with every theme and I have met some amazingly talented bloggers. Speaking of which, to celebrate we are all making a past #SundaySupper recipe from another contributor today. It happened to be coincidence that the recipe I picked was the theme that I hosted, but as soon as I saw this soup I knew I needed to make it. 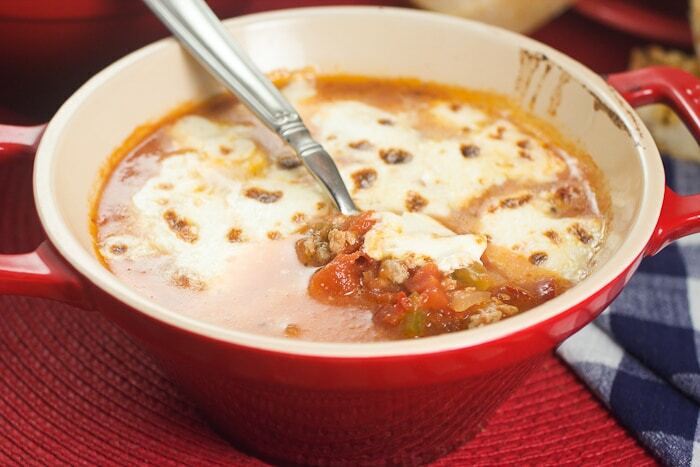 Kim from Cravings of a Lunatic posted the original recipe for Lasagna Soup, a heart and stomach warming easy dinner that will make everyone happy. Have a craving for lasagna but don’t feel like putting in the effort? 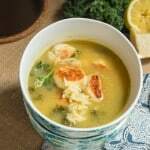 Make this soup, I guarantee it will satisfy every need and still provide you with plenty of leftovers! I stuck pretty close to Kim’s recipe, but made a couple of swaps – trying to keep things on the healthy side right now to lose some of that holiday weight and hubs had requested if we could lay off beef a little. I was also trying for a soupier consistency to warm us up through a bitter cold week! Don’t forget to check out the original recipe here! In a large stock pot or dutch oven on medium heat, place about 1/2 tablespoon of olive oil and brown the turkey until it is no longer pink throughout and broken into small pieces. 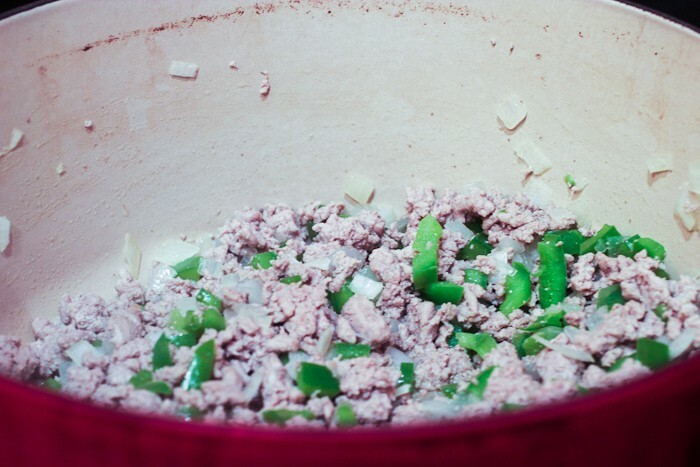 Add the onion and bell pepper and cook until soft, about 5-6 minutes, stirring occasionally. Add the garlic and cook for an additional 30 seconds. Pour in the chicken stock and crushed tomatoes and season with the dried oregano, salt and red pepper flakes. Bring to a low boil and reduce heat to simmer for 25 minutes. Add the noodles, and cook for about 10 minutes until cooked through, stirring to make sure they don't clump together. Mix in the parmigiano and taste to adjust seasoning if necessary. 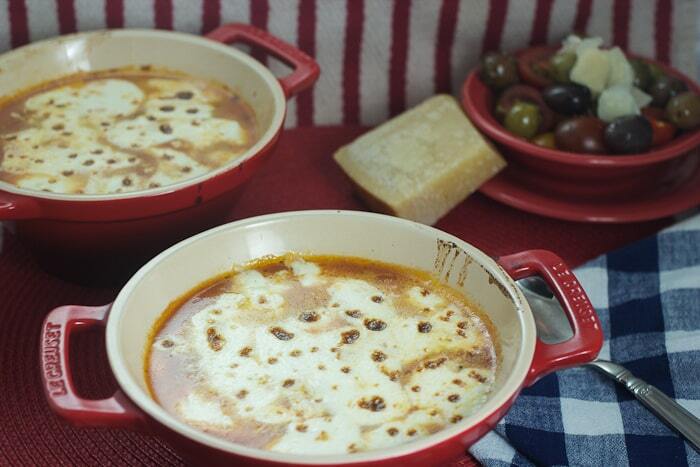 Pre-heat your broiler and ladle the soup into oven safe bowls. 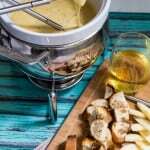 Sprinkle the cheese on top of the soup and broil until the cheese has melted and just begins to brown - about 2-3 minutes. Continue the rest of the birthday celebration with all of these great #SundaySupper recipes! 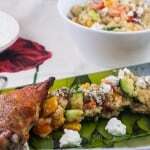 This sounds delicious, and a great twist on a classic dinner. Will be making this some night this week! 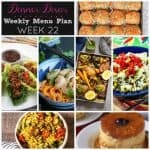 I think it’s totally awesome and fitting that you picked a recipe from the week you hosted. This soup looked amazing when Kim made it and it looks just as amazing here. This is a big, hot, yummy bowl of comfort. I love that you switched the beef for turkey; that’s a substitution I often make as well. Happy Sunday! Mmm…this sounds all warm and comforting! I have been wanting to try this ever since Kim originally posted it. Now after seeing yiur changes i am wondering if i could try a veggie version. This is lighter than it sounds. I must try it! It was the Family Heritage theme last June that got my attention. I joined #SundaySupper soon after that! Oh I LOVE lasagna soup! I totally am going to have to make it again soon after seeing your gorgeous pictures! This soup has been on my must try list. You posting it again just makes me want it more! What a wonderfully warming soup – nice adaptations! 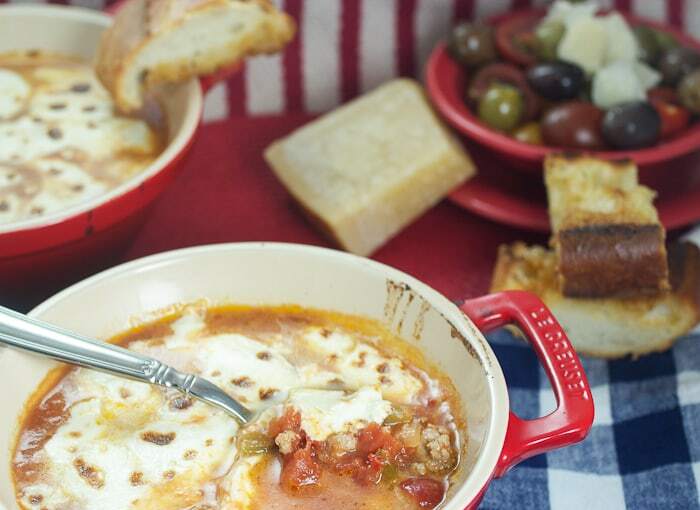 lasagna soup is totally on my “to make list”! This looks great! I joined in June too, and it feels like it´s been years. This is such a hearty soup, perfect for cold days! It looks wonderful and I´m bookmarking it. Have a great sunday! This is on my list to try, what a great soup!! 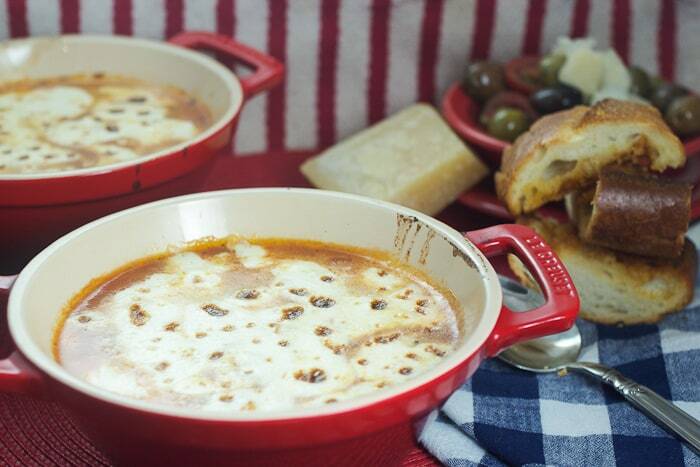 Pingback: Tomato Florentine Soup and A Special #SundaySupper Birthday! | Mama.Mommy.Mom. I can not tell you how much your recipes have inspired me this past year! They are fabulous and I am so glad you joined us this June! I can’t wait to try this beautiful recipe… I have been eyeing it up for some time too. It’s brrrrrrr here in Texas today. I wish I had a bowl of this yumminess! Boy does this look good! Perfect on a cold day. 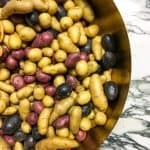 I remember when this recipe was first published for #SundaySupper and I just couldn’t wrap my head around it. Lasagne soup? My Italian heritage shuttered. That said, I have to admit it looks pretty good. Lasagne is one of my husband’s favorites! This def is something we need to try! How delicious!! This looks so warm and comforting. What a great soup. I love this kind of dishes, soul-warming, easy to made and so nutricious. I need to try it!! 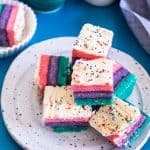 I loved that this recipe was so easy to make! It looks delicious! A great choice to celebrate #SS’s birthday! 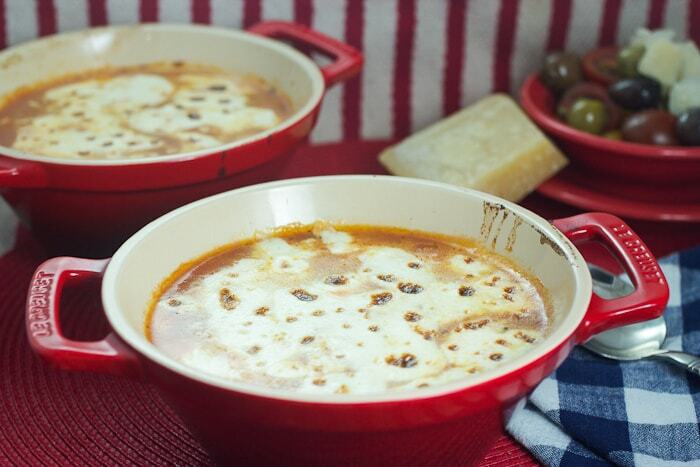 Oops, left this in the triberr comments instead of here, but I have seen a few Lasagna Soup recipes lately and I am dying to try it. I’ve been seeing similar recipes floating around–I love that you lightened it up a bit–now I won’t feel so guilty when I try it! First I have to say that I love your bowls. I have to find them. I also found the soup to be intriguing and thought it was a great twist to lasagna. I like your use of ground turkey too. Yummy twist, love that you used turkey. It’s such a weird thing to think lasagna and soup together but man once you eat it right!!! I was a believer and make it all the time now. SO happy you chose it and liked it. I am beyond touched you picked it. Love the photos too. You always take such wonderful photographs. Happy 1 Year Birthday to us all. I can’t believe it has already been year. Time flies when you’re having fun. This soup is amazing. I know; I made it a few weeks ago. Ate the entire pot, too. So good! oooooh I want some! I want some. This soup has been on my radar too. Need to make asap. Especially now that it really feels like winter. This is another one on my very long to-make list – and I wish I had it RIGHT NOW! It looks perfect. Yup, the Italians would like this one for sure! This soup look so comfort. Will definitely add in my trial list too! You can’t go wrong with lasagna anything! I know everyone will love this! We eat alot of Italian food and this is a nice change from the normal lasagne. Great photos!